The Heritage is the flagship park home from Omar and exudes opulence from the outside and super-stylish living on the inside. Its layout gives you a room for every occasion, separated off with glass panel doors, and a kitchen any chef would be proud of. 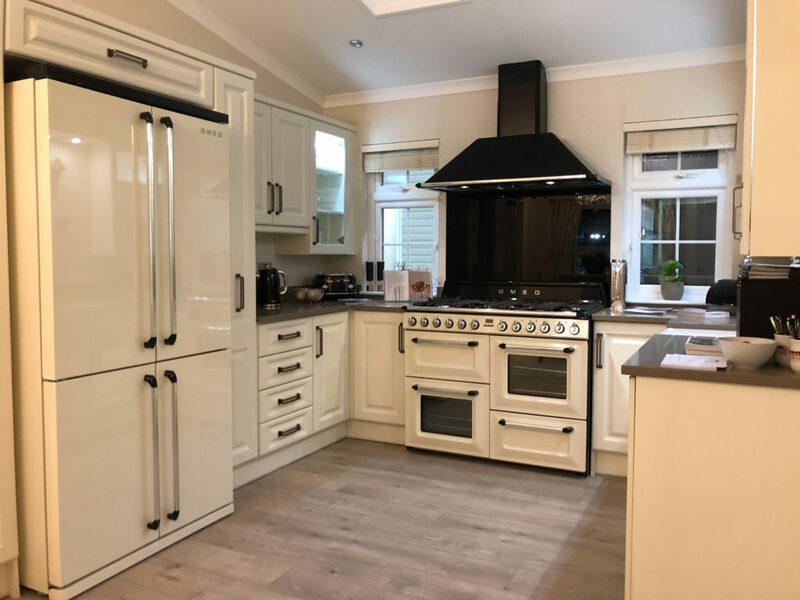 The park home’s kitchen is kitted out with a double-doored Smeg fridge freezer and a seven (yes seven) burner Smeg double oven. You won’t struggle for cooking space here, though, with the seven burner hob, it may well inspire you to open a restaurant! 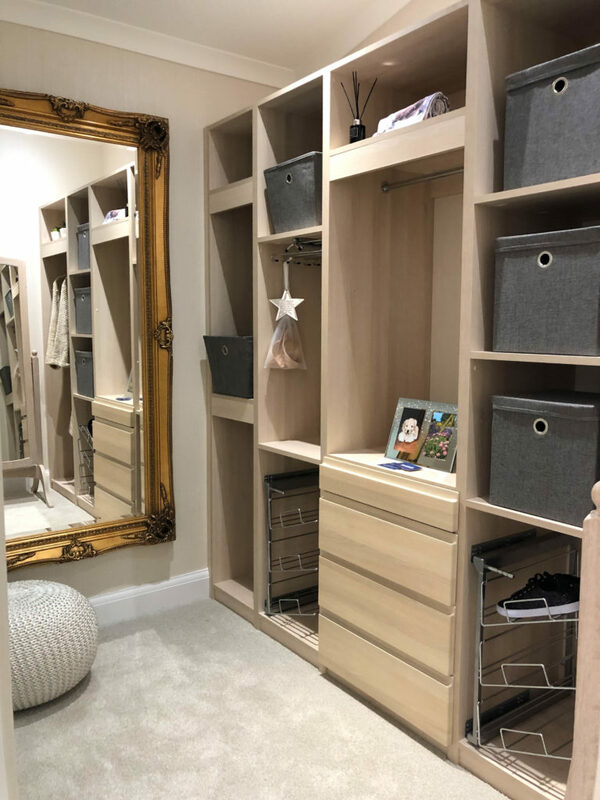 The kitchen cupboards and drawers are all soft close and feature clever storage solutions, such as two pull-out larders either side of the fridge. Three of the head-height cupboards have glass frontages and are illuminated with LED lighting as well. Opposite the kitchen is the dining area, the oblong table maintains the intimacy of eating in the kitchen area whilst still giving plenty of space. Behind the dining table are the patio doors which, should you decide to have one, would lead out onto your veranda. 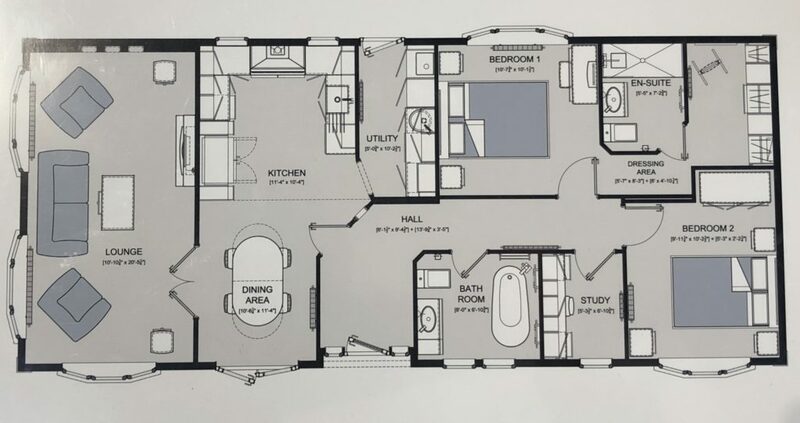 There is abounding floor space with the dining area opposite the kitchen and a utility room complete with microwave, sink and again, plenty of cupboards. In fact if this were a flat, the utility room would probably be your kitchen. The lounge leads off from the kitchen, double glass doors can be closed off if you don’t need the open plan aspect. 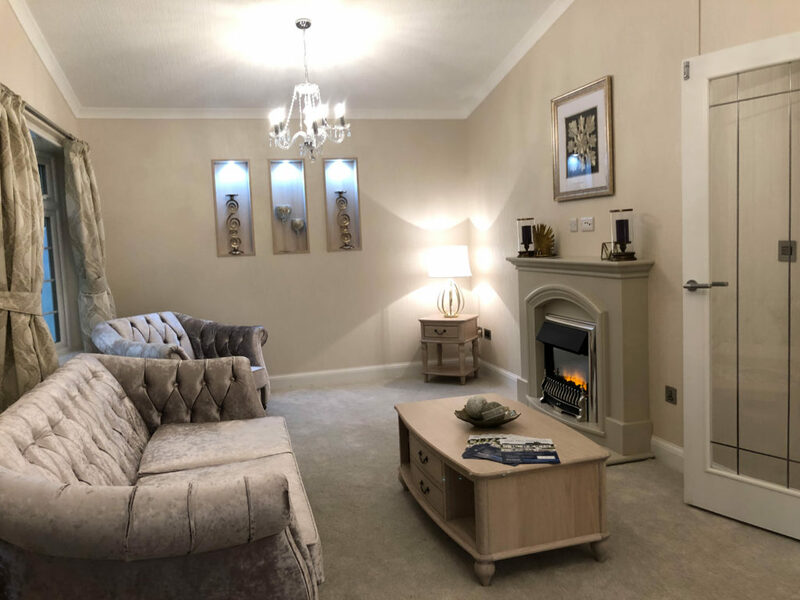 The lounge has three bay windows, giving it an airy open feel, with the electric fire and fireplace being the focus of the room. Recessed shelves with lighting continue the super-stylish theme. 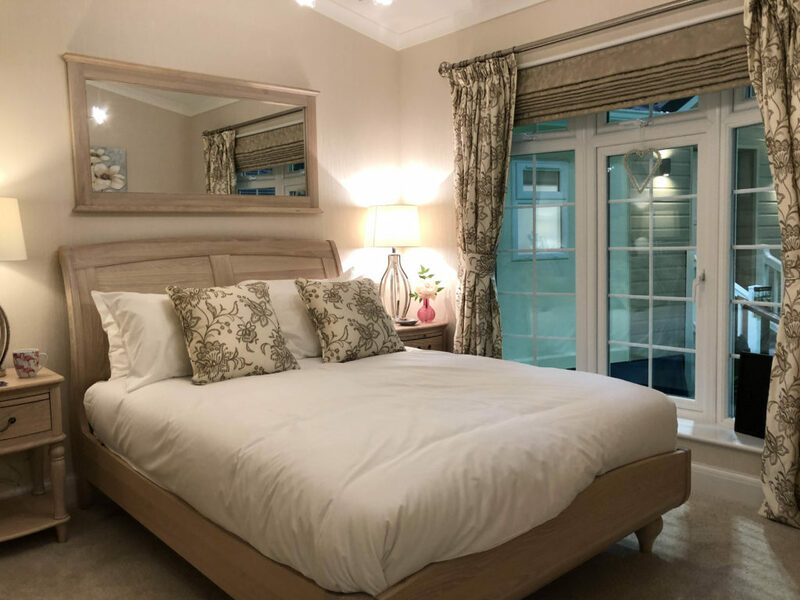 The master bedroom is spacious, stylish and extremely well laid out with a full en-suite wet room, plus dressing area off the master bedroom, all with top end fixtures and fittings, truly living up to its “flagship” status. 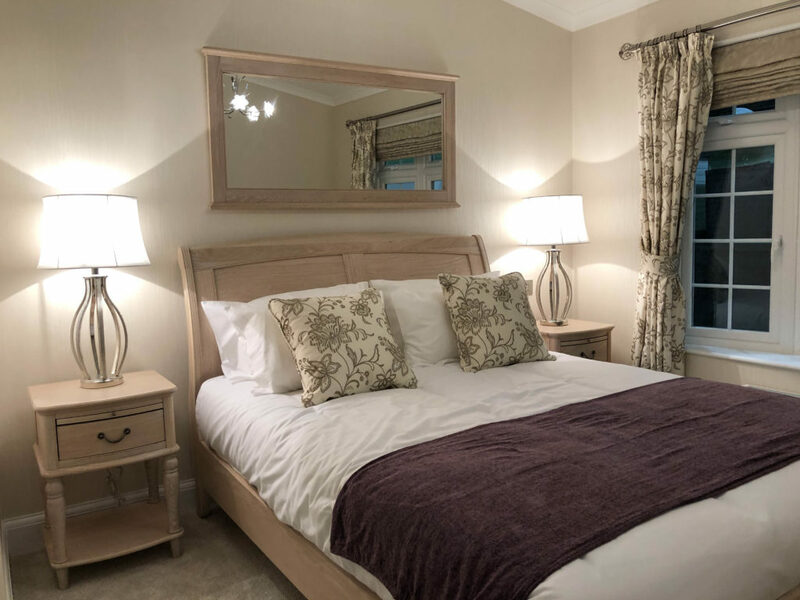 At the back of the park home is the second bedroom, which is still large by any standard. 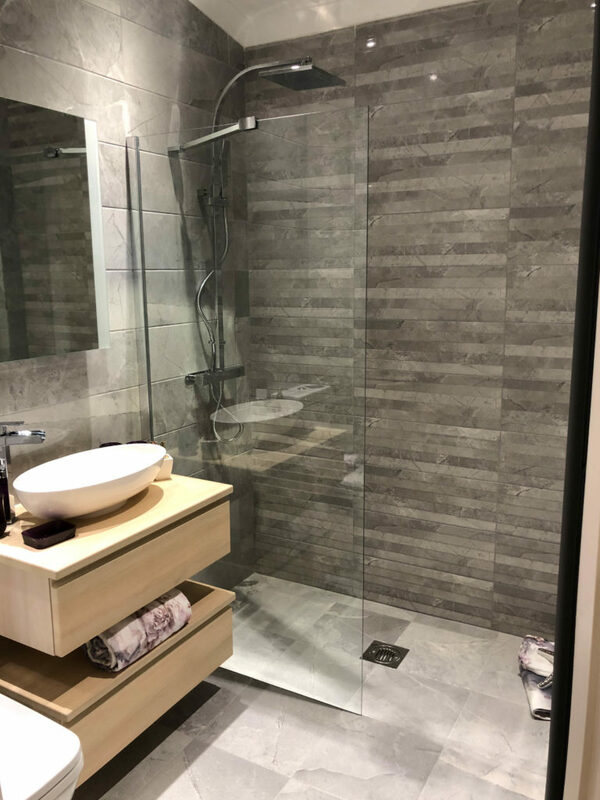 What’s immediately noticeable is the amount of light that’s let in to the Heritage, the kitchen has two Velux rooflights along with its bay window frontage and the master bedroom’s wet room and dressing area have a roof light each as well. 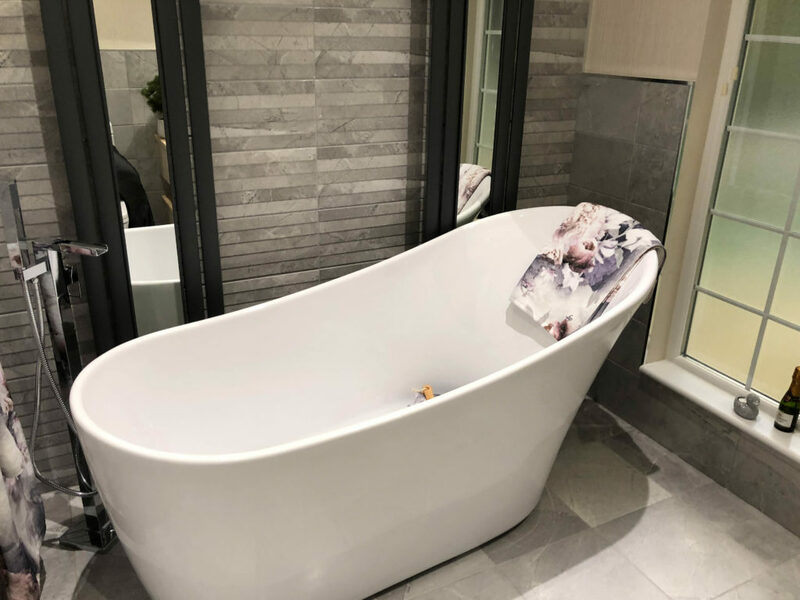 The second bathroom features a high-backed, free-standing bath, as well as a raised sink unit opposite. Floor to ceiling radiators complete with mirrors accentuate that luxury feel. 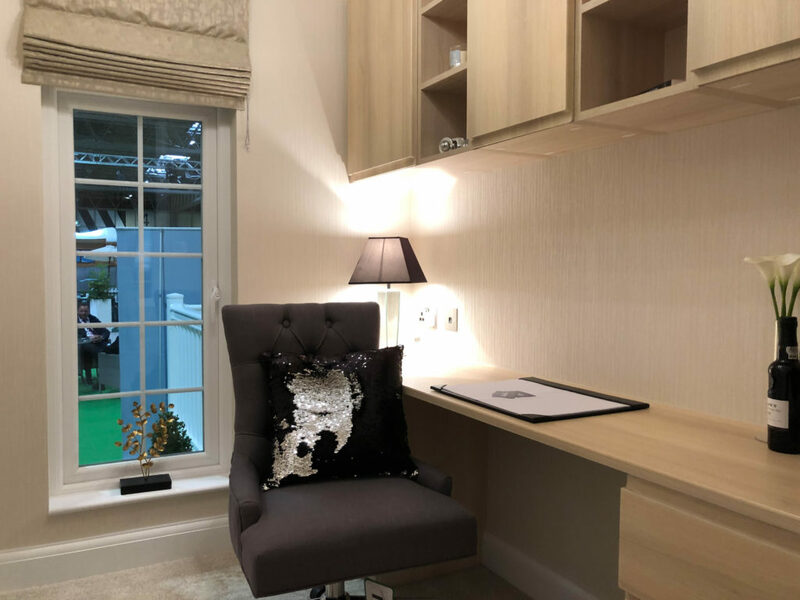 There’s an office next to the bedrooms, big enough for use as a home office, computer room or man cave. The Heritage truly is adaptable to any situation. 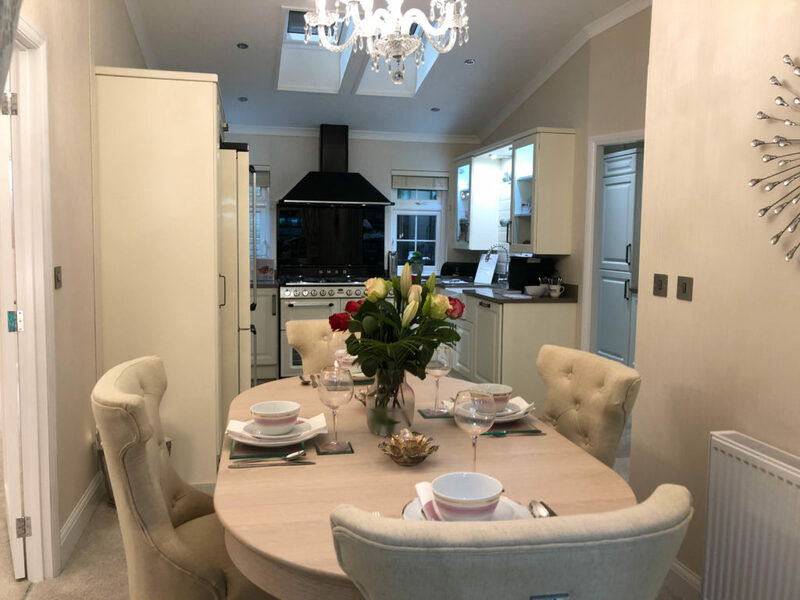 As a home it’s luxurious and extremely well appointed and if you have guests the kitchen and lounge area are easily closed off from the rest of the home. Verdict: The Omar Heritage is a top-of-the-range park home, both inside and out. 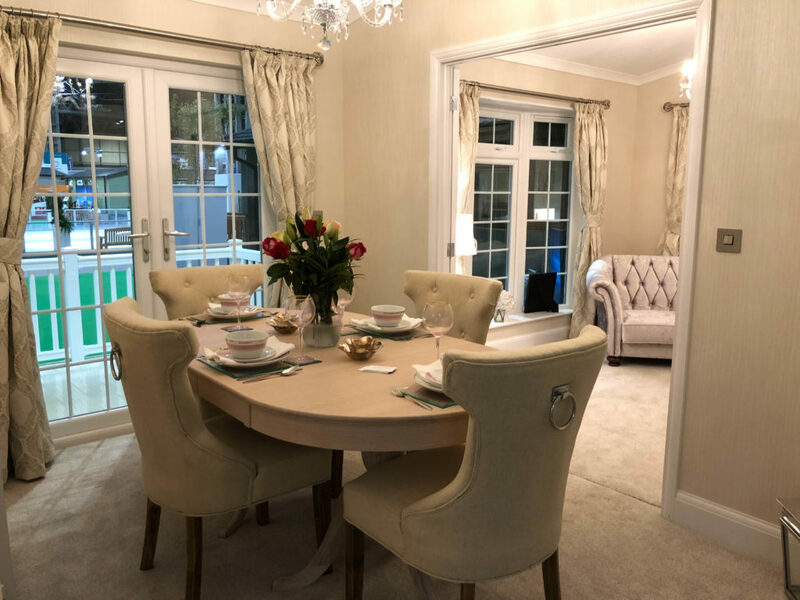 If you’re looking for luxury living, a clever layout and high-end fixtures and fittings as standard then the Heritage is definitely one to give a closer look. Oh and did we mention it has crystal chandeliers? Plus points: Top end kitchen, fabulously laid out master bedroom, light and airy thanks to the bay window design and four Velux roof lights. Minus points: The dining area could do with being larger if you are the types for entertaining. The bathrooms could do with some added storage space. In a nutshell: High-end from floor to ceiling, luxury as standard. Others: Omar can build bespoke layouts and sizes if desired. Everything pictured is standard. If you’re looking to buy this park home why not get a great value insurance quote from us today. Click here to find out more Leisuredays park home insurance. 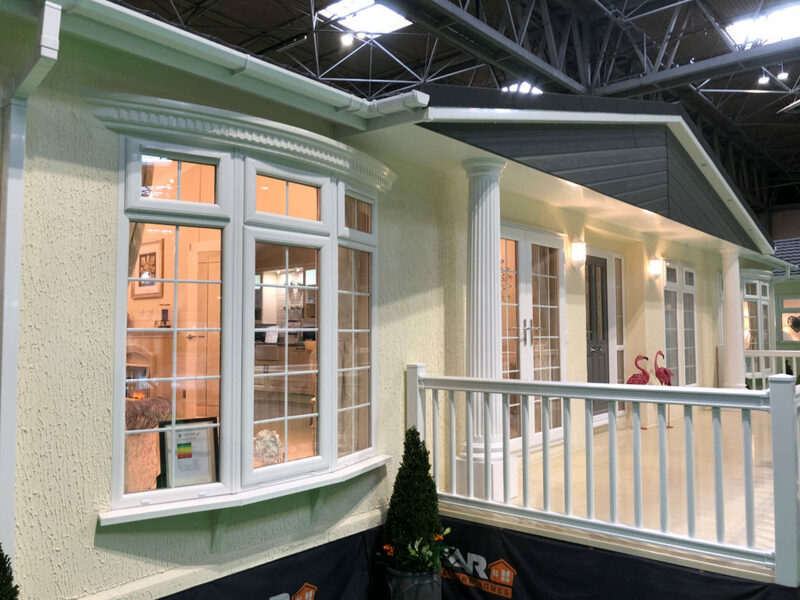 For more information about the Omar Heritage or other park homes visit www.omar.co.uk or email sales@omar.co.uk.